Who else loves browsing through the new arrivals on different sites? I am guilty of doing this just about every Friday. 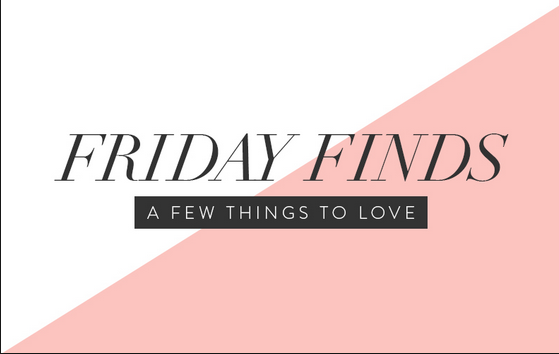 Today I decided to put together some of my favorite Friday finds and I might end up have this as a recurring post every week. Let me know if you would like that! You will notice from this Friday finds post that every piece is under $100 and for some reason I am gravitating to neutral colors. To be honest I am not surprised. These are pieces I know I could style everyday and potentially dress them up if I need to. The stores I always gravitate to are Shopbop, Revolve, River Island, aerie, Abercrombie and Nasty Gal. What stores are you loving lately? Let me know and I will check them out for next weeks Friday finds. That white Madewell tee is one of my favorites and if you have not checked out the their tees then you are missing out! They have the best basics at every price point! If you need some good basic tees be sure to take a look at THESE. Also, I talked about my favorite fabric to wear each season in this post but what I failed to mention was the type of undergarments I wear. Silk and satin show every lump and bump, especially silk skirts, so the underwear I linked above are my all time favorite to wear. This pair is perfect for keeping your tummy looking tight! Lastly, I could not let this Friday finds post go without including a few coin necklaces I found while browsing today. I think everyone is coming out with their versions of these trendy necklaces and I am not mad one bit. I have been wearing mine literally everyday! The gold coin layered look makes a basic tee and jeans look so chic. Give it a try! You’ll love them trust me! I honestly can’t say thank you enough for following along. But, thank you so much for continuing to support me and my business. Don’t forget to subscribe!